Tom has appeared in state and federal courts across the country, and has tried antitrust, business, construction, civil rights, insurance, mineral rights, negligence, product liability, land use, real property, tax, and wrongful termination cases to verdict or final judgment. 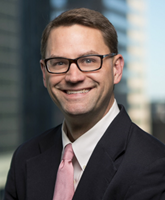 He has significant arbitration experience as well as first chair trial experience in both state and federal court, and has been recognized by Alabama Super Lawyers, Benchmark Litigation, Best Lawyers in America, and Birmingham Magazine. He has tried cases and arbitrated representing both those asserting claims as well as the parties defending against them, and has prevailed on behalf of both. Tom handles cases across the country, and has litigated and arbitrated in dozens of venues from Alabama to Arizona. Tom has also litigated international disputes. While he has litigated and tried cases to successful result for clients in a number of industries, Tom’s practice has concentrated in recent years on cases relating to product design and manufacture (product liability), commercial and business disputes, litigation relating to natural resources (coal, oil and gas, and timber), and real property (landowner use rights, ownership disputes, construction, and property taxation).